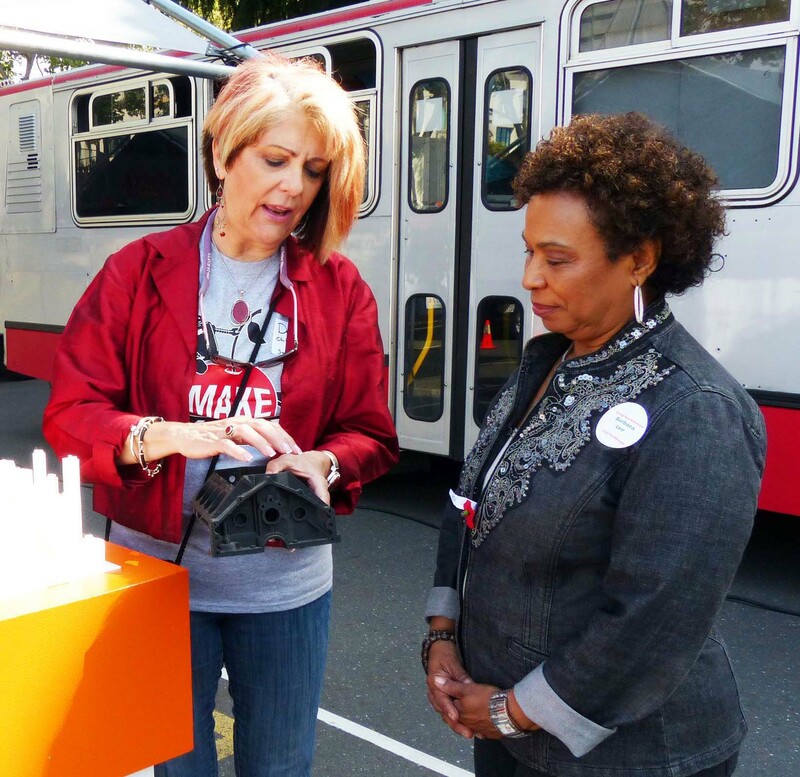 CIO Deborah Acosta and Congresswoman Barbara Lee discuss the impact of 3D printing technologies at Make San Leandro. On May 31st, San Leandro’s 105th anniversary of the Cherry Festival hosted a new event: Make San Leandro. This all-volunteer event, produced by Ten Ton Consulting (Tim Holmes and Mitch Huitema, founders and former owners of Zocalo Coffee House), featured San Leandro and regional artists, makers, bio-hackers, and entrepreneurs from The Gate. 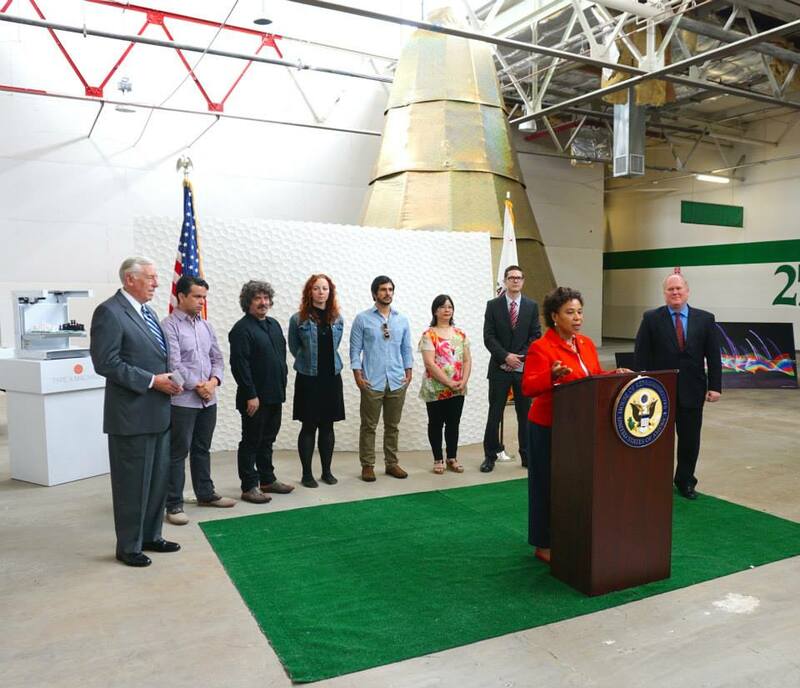 Make San Leandro was honored by a lengthy visit from Congresswoman Barbara Lee and her staff. 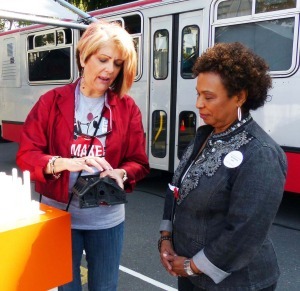 She was particularly intrigued with demonstrations from Type A Machines and the vision created of America’s return to manufacturing, this time through the power of fiber optics and 3D printing technologies. At the conclusion of her visit, Congresswoman Lee told us about Democratic Whip Steny Hoyer’s initiative called “Make it in America“, a comprehensive plan to create the conditions necessary for businesses to manufacture goods, innovate and create jobs. 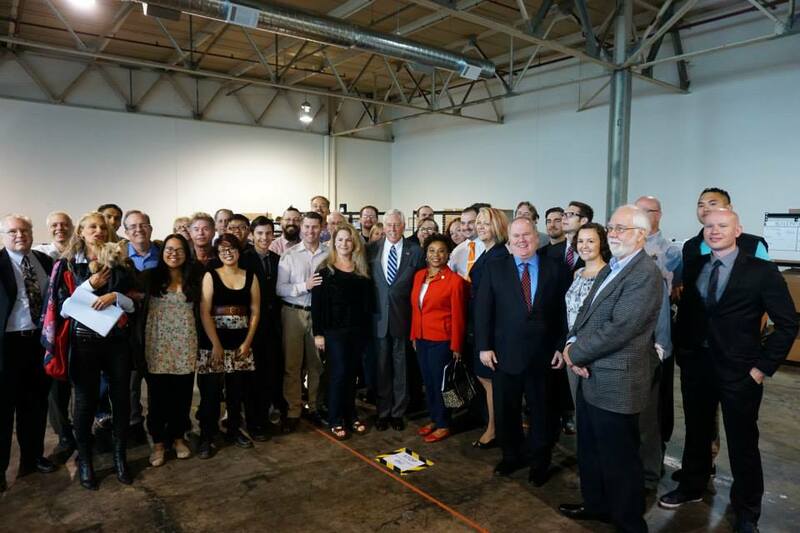 She promised to work with us to bring Congressman Hoyer to San Leandro to see for himself a City that is creating prosperity and jobs by returning to its manufacturing roots. On October 9th, Congresswoman Lee fulfilled that promise! 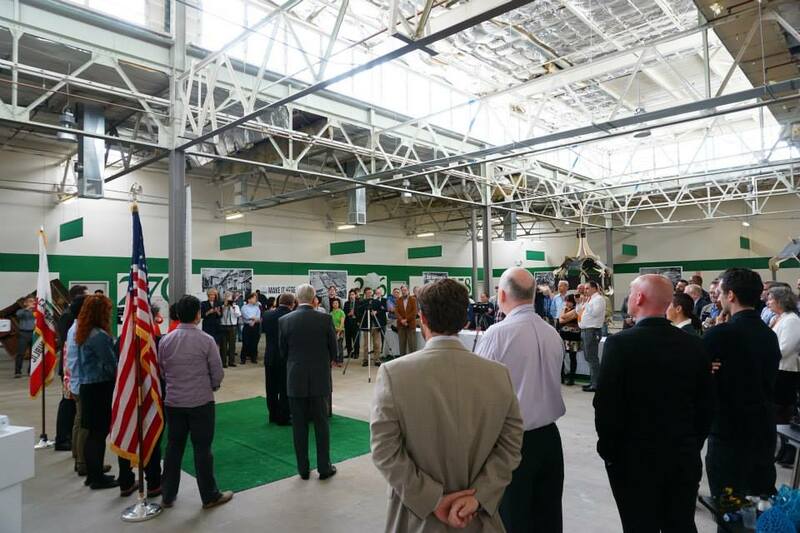 Democratic Whip Steny Hoyer (D-Maryland) joined Congresswoman Lee, Mayor Stephen Cassidy and Dr. Patrick Kennedy, for a tour of The Gate, an 18-acre, 700,000 sf former Chrysler Dodge auto manufacturing plant, now a center for innovation that brings together artists, techies, manufacturers and entrepreneurs of every type. 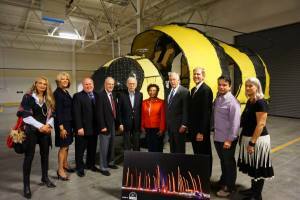 The tour included Type A Machines, The Hive Art Collective (a group of 80 artists largely associated with Burning Man), and PhaseSpace, founded by long-time San Leandro innovator Tracy McSheery . The visit ended at the site of The Cupola, an 8,000 sf open area under a skylight that will become a space for the tenants to collaborate, build art, host events — becoming The Gate’s Town Square. 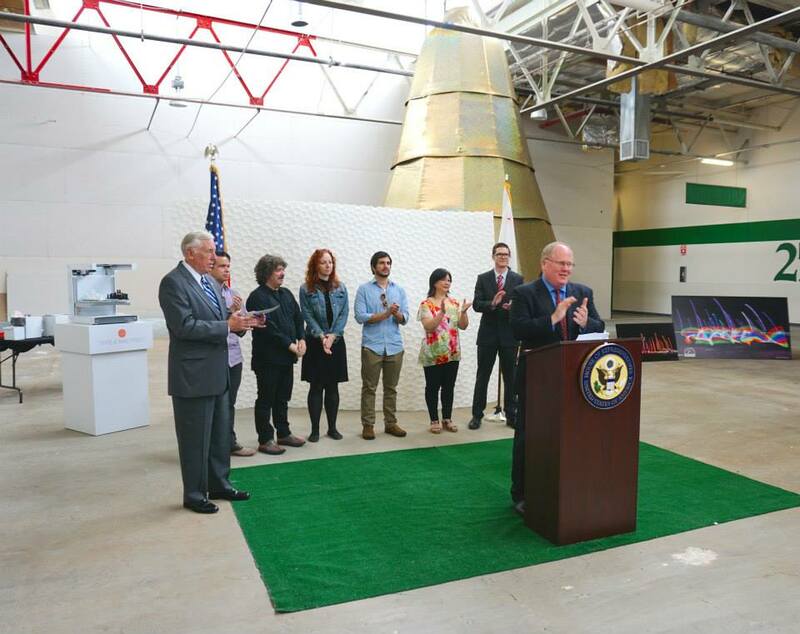 Mayor Cassidy’s remarks at the press conference reminded all of us that San Leandro’s industrial districts used to be a center of economic prosperity. 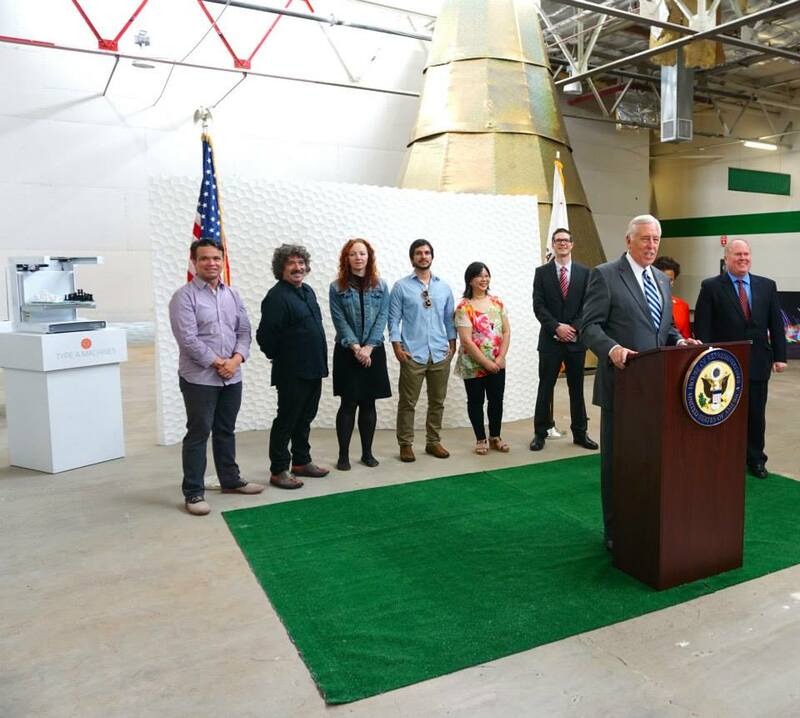 Commitments by the City Council to “transform San Leandro into a center for innovation” led to the creation of Lit San Leandro and the infrastructure needed to create an advanced manufacturing economy. 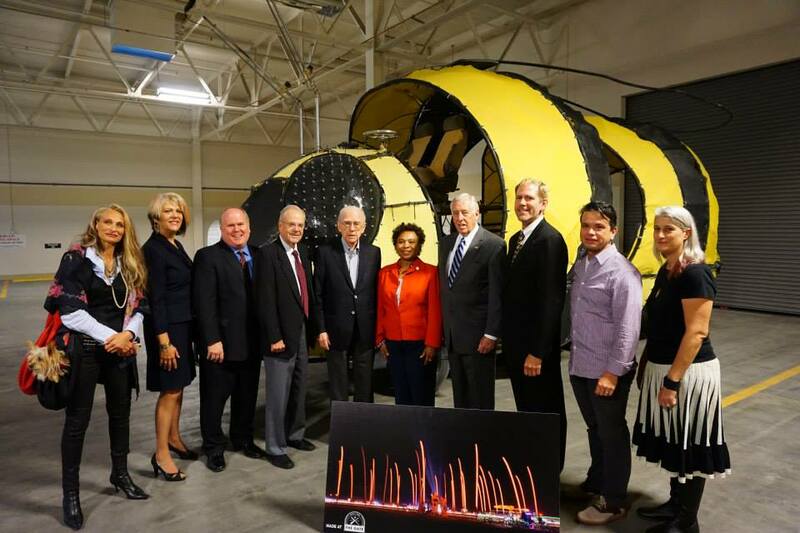 Both Congresswoman Lee and Congressman Hoyer remarked that San Leandro was clearly leading the way in modeling how to bring manufacturing — and jobs for a strong middle class — back to America. All of us at the City of San Leandro are grateful to the entire team at The Gate that made this visit possible — the entrepreneurs, the artists, the janitors who paid special attention to cleaning the raw Cupola space — and especially to Cheryl Edison, Community Curator and David Holley, Leasing Manager, who said “YES!” to organizing this visit — and then made it happen. Also, a special shout out to City IT staffer, Scott Gilliland, who said “YES” to my request that he figure out how to print out 12 huge posters of the former Dodge Chrysler assembly plant and workers to line the walls of the huge Cupola space. It took a community to pull of this event — THANK YOU EVERYONE! 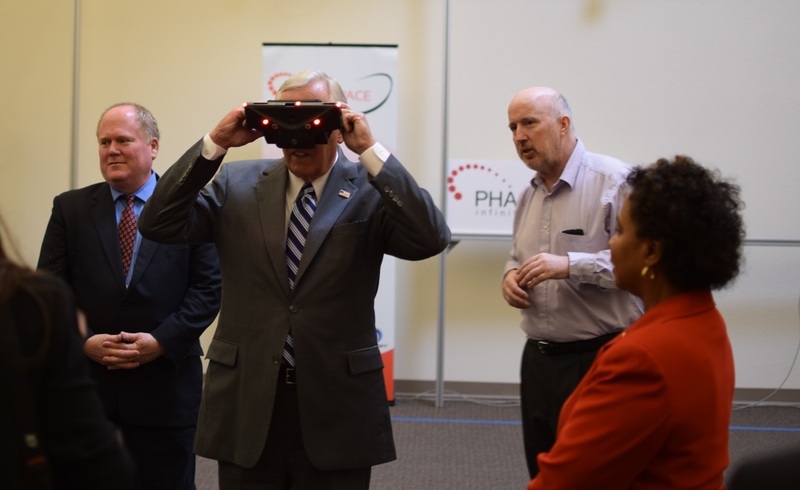 Congressman Hoyer tries on Tracy McSheery/PhaseSpace augmented reality eyewear. 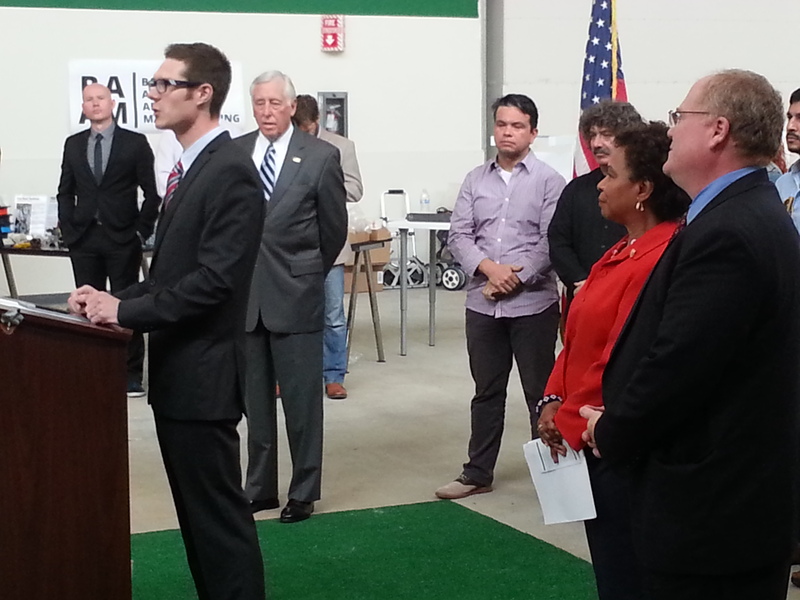 Congresswoman Barbara Lee addresses audience at press conference, with Steny Hoyer, Mayor Cassidy and entrepreneurs from The Gate. Democratic Whip Steny Hoyer addressed audience at press conference. 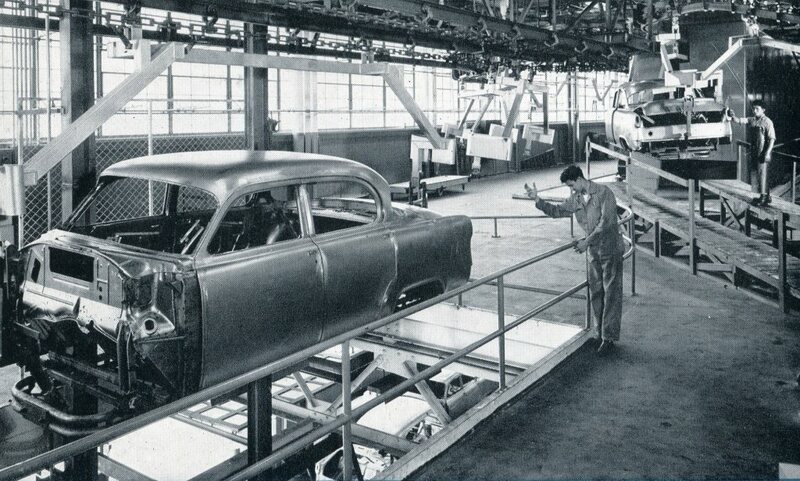 Assembly line in the Dodge Chrysler Auto Plant. The windows are recognizable today.